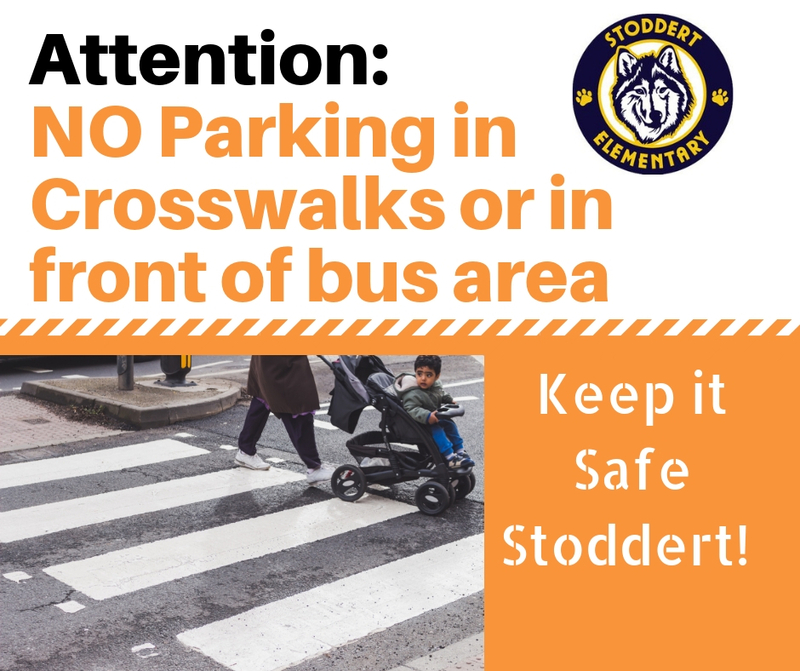 Please do not stop your car in the crosswalks or bus stop to drop off or pick up your kids. Illegal drop-offs and pick-ups create very serious hazards at the intersection of Calvert and 40th Street, especially during the very busy minutes between 8:30 and 8:50 during school mornings. A new one-pager has been created to emphasize the importance of obeying these rules. Please feel free to print and share with those who may not be aware of the dangers of illegal parking/stopping in front of Stoddert.